Worship, including Holy Communion and personal prayer. Care for one another and learn through Bible study and fellowship. Serve, by being a good neighbour and challenging injustice. Evangelise, by living our faith and sharing our love of Jesus with others. strict warning: Non-static method view::load() should not be called statically in /home/holmfirt/public_html/sites/all/modules/views/views.module on line 879.
strict warning: Declaration of views_handler_filter::options_validate() should be compatible with views_handler::options_validate($form, &$form_state) in /home/holmfirt/public_html/sites/all/modules/views/handlers/views_handler_filter.inc on line 589.
strict warning: Declaration of views_handler_filter::options_submit() should be compatible with views_handler::options_submit($form, &$form_state) in /home/holmfirt/public_html/sites/all/modules/views/handlers/views_handler_filter.inc on line 589.
strict warning: Declaration of date_api_filter_handler::value_validate() should be compatible with views_handler_filter::value_validate($form, &$form_state) in /home/holmfirt/public_html/sites/all/modules/date/includes/date_api_filter_handler.inc on line 578.
strict warning: Declaration of views_handler_filter_boolean_operator::value_validate() should be compatible with views_handler_filter::value_validate($form, &$form_state) in /home/holmfirt/public_html/sites/all/modules/views/handlers/views_handler_filter_boolean_operator.inc on line 149.
strict warning: Declaration of views_plugin_row::options_validate() should be compatible with views_plugin::options_validate(&$form, &$form_state) in /home/holmfirt/public_html/sites/all/modules/views/plugins/views_plugin_row.inc on line 135.
strict warning: Declaration of views_plugin_row::options_submit() should be compatible with views_plugin::options_submit(&$form, &$form_state) in /home/holmfirt/public_html/sites/all/modules/views/plugins/views_plugin_row.inc on line 135. 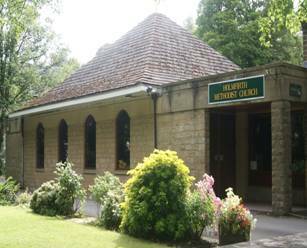 Welcome to the website of Holmfirth Methodist Church where you can find out about our mission and our place in the community. We are situated in the centre of Holmfirth, in School Street at one end of Crown Bottom Car Park. We have 83 members supported by 13 Pastoral Visitors. We have five worship leaders assisted by their teams and our worship is further enhanced by media projection, a choir and musicians. In worship we cater for all ages with Junior Church and a crèche if required. We are fortunate to have three Local Preachers and one Local Preacher on Trial among our members. We have five midweek Bible Study Groups. Tuesdays – Ducklings (Mother and Toddlers Group) 10 to 12 in term time. Church open for prayer and quiet fellowship and Holme Valley Food Bank outlet 12.30 to 1.30. Homemade Soup served from 12.15 to 1.30. Afternoon Bible Study 2.15 -3.15 except Second Tuesday when it is Bright Hour, a flourishing fellowship group for seniors. Fridays – Church open for prayer and quiet fellowship and Holme Valley Food Bank outlet 12.15 to 1.45. a popular Messy Church meets from 3.30 on the first Friday. Many community groups regularly use the premises including Guides, Brownies, Rainbows, Monday Club, U3A, Friend to Friend, Dementia UK, Country Markets, Holmfirth Choral Society, Probus Club and Holmfirth WI. We produce a quarterly magazine The Messenger, we are a Fairtrade Church and have a Traidcraft stall after worship on Sundays and every Thursday morning and we have achieved The EcoCongregation Award for our environmental work. Detail of upcoming services and other events can be found on the calendar.